You are here: Home / Compensation Ticket to Ride! Some friends recently introduced us to the board game Ticket to Ride. 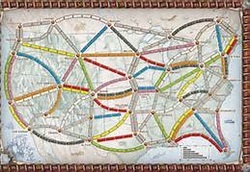 For those of you who don’t know it or haven’t played, the goal of the game is to connect cities on a map (US, Europe, Asia and other versions) with train cars, based on the ticket you draw. For example, Portland to Nashville is one of the tickets, and you can connect via Los Angeles, Denver, St. Louis, Atlanta, or any number of other routes. You earn points by completing your tickets among other ways. It’s a fun family game. I am very much a novice still. Malcolm Gladwell in his book “Outliers: The Story of Success” claimed that the key to success in any field is, to a large extent, a matter of practicing a specific task for a total of around 10,000 hours. Definitely not there with Ticket to Ride, but I have passed that threshold on compensation many years back. So I tend to see compensation analogies in a lot of areas that most people don’t – for example in a board game. So today I offer the connections between a pastime and a passion. Up to you to determine which is which, but I think you’ll get the picture. You can find new learning opportunities even in places where you think your brain is taking a break! We were requiring players to take at least one ticket after each one completed (not in the rules). There is more than one way to get to Nashville and Phoenix, but you have to know the board. You need to accumulate enough cards to complete your tickets. Long segments can either win or lose the game for you. Some destinations are riskier than others. Who knew that Helena, Santa Fe and Little Rock were such important places? The European version can be really intimidating. Lots of negative points in each hand at the end of the game, creating frustration. Drawing from the deck can increase your opportunities because you’ll have more wild cards. The payoff in points per segment is exponential over short segments. There are some prime destinations (San Francisco, Helena, Salt Lake City, Chicago, New York, and Miami) that are only reachable with the right color cards. Critical connection points for moving towards many other destinations on the board. Compensation analogyDon’t let policies be so rigid that you aren’t willing to consider alternatives, creating frustration for managers. For example, giving an employee a few thousand more dollars or shares of stock may be against policy but may be exactly what’s needed at the moment. As the saying goes, if you don’t know where you are going, any path can get you there. But with compensation you’ll be much more sucessful thinking out ahead a few moves rather than just living in the present. Sometimes it can be tempting to try a new program without fully understanding all the implications. Always worth the time to model possible scenarios, especially with variable pay plans, and a knowing you have a few pocket wild cards. Taking a little longer to do something right is almost always better than implementing something that is only 80% right, especially if it gives you more time to manage change (despite what a certain large high tech company says!). Ever hear of broad-banding? 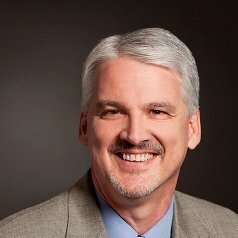 What about skill-based pay? When those ideas first started making their way around the consultant breakfast circuit, some people thought they needed to bite just because it was the latest and greatest, despite what had been working, despite their existing strategy, despite their culture… etc. If a change is the right fit then absolutely move ahead but don’t let the risk outweigh the benefit. None – just a game tip. It’s Europe — don’t get me started! I’m not sure anymore if the analogies I see in everyday life are a blessing or a curse (or both) but I do enjoy them still as they take me back over my career to companies and projects that while they were not always fun or enjoyable at the time, have shaped my learning and perspectives in ways that academics never could. And the people I enjoyed working with during those times far outnumber those who as I look back were just blocking my way – there’s another Ticket to Ride call out!